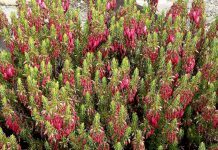 Did flowering plants appear earlier than the fossil record indicates? Two papers independently conclude they did - and suggest what fossil evidence we should look for. Angiosperms are almost everywhere. 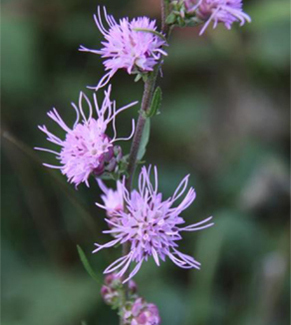 Around 90% of plant species are angiosperms, flowering plants. There are way more species of angiosperm than they have ever been of the other groups of land plants. Despite this success, they’re relative late-comers. In the fossil record, they only seem to get going around the end of the Jurassic or start of the Cretaceous periods, when they co-evolved with their pollinators and herbivores. That means we should expect flowers to be no older than 150 million years. That would be fine except that when you build a ‘molecular clock’, by tracking the time it would take for differences in the genetic make-up to build up between angiosperms and their closest relatives, the gymnosperms, you get a different answer. Up to 300 million years. Effectively the molecular studies put the origin of flowering plants twice as far back. Two papers have come out recently independently tackling this discrepancy. Constraining uncertainty in the timescale of angiosperm evolution and the veracity of a Cretaceous Terrestrial Revolution by Barba-Montoya et al., attempts to improve the molecular clock by using fossil calibration to fix certain points on the scale. They can then use Bayesian statistics to set a date range for the first angiosperms. Bayes Theorem is a mathematical method for updating probabilities using data you already have. Calibrating the scale using fossils doesn’t wipe out all uncertainty, but it can reduce it. “Previous studies into molecular timescales failed to explore the implications of experimental variables, and so they inaccurately estimate the probable age of flowering plants with undue precision,” said Professor Ziheng Yang (UCL Genetics, Evolution & Environment) and senior author of the study. The answer they got was that flowering plants likely originated between 149 and 256 million years ago. This figure is still older than the fossil record suggests, but there might be a reason for that. Barba-Montoya et al. argue that this dependence on advanced angiosperms means there is an unknown earlier history to angiosperms that is missing. They say this history may be as much as 121 million years. How does an angiosperm hide for that long? Well, they aren’t the only people to have tried tackling this puzzle recently. Ofir Katz has a paper out in the January 2018 issue of Annals of Botany: Extending the scope of Darwin’s ‘abominable mystery’: integrative approaches to understanding angiosperm origins and species richness. He notes that if the molecular dates are right, then there is a big fossil gap. He argues that doesn’t disprove the molecular data, and it might mean instead we need to look closer at the fossil record. What would an early fossil angiosperm look like? As evidence of possible early angiosperm presence, he highlights the recent discovery of angiosperm-like pollen from around 243 million years ago. He also argues that phytoliths might be fruitful line of inquiry. He does, however, note this opens up a new question, which is why didn’t angiosperms diverge radically from their gymnosperm relatives sooner? 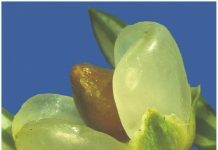 Looking at this led me back to an older paper: Nectar and pollination drops: how different are they? Any early moth is likely to have fed on pollination drops from gymnosperms. If they also fed on pollination drops from proto-angiosperms, then this makes the early history of flowers even more mysterious. 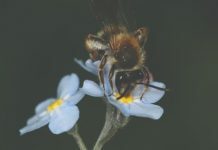 The likely fossil evidence is going to be difficult and require some extremely hard work, but with pollen and insect scales being examined, it’s clearly not an impossible task. Previous articleWhat are holocentric chromosomes good for?